Spread a Little More Joy…. Welcome back to the LAST installment of the Best of Blog Tour…. In January, the tour will change to a PIN-Worthy tour… It will be fun. This month’s tour focuses of Spread the Joy and Monster Maniacs. Both sets were drawn and submitted by demonstrators (well, Spread the Joy was an SU employee, but not a designer). They are fun to see and I’ve had tons of fun playing with them. So, if you’ve read my blog in the past, you will know that I have an infatuation with Spread the Love. Did a whole series. 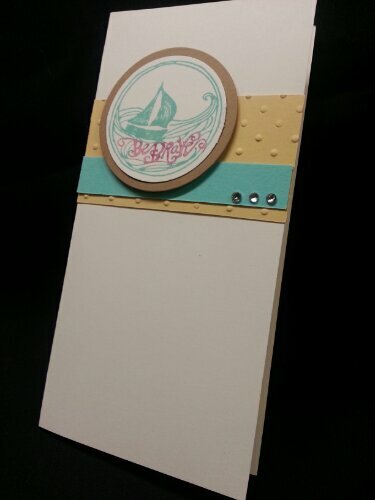 For this posts, I recycled an idea that I had made in cards… and formatted them for gifts!! 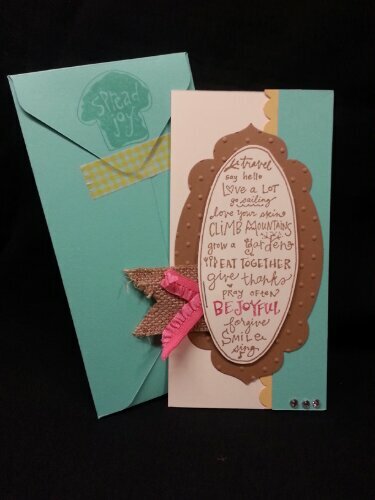 And, what perfect timing… you can whip up several of these and they are perfect for teachers… friends… and they come together as fast as a card does. These are just the 5×8 junior legal lpads and a postit that have been decorated with paper. The post-it includes a velcro closure. 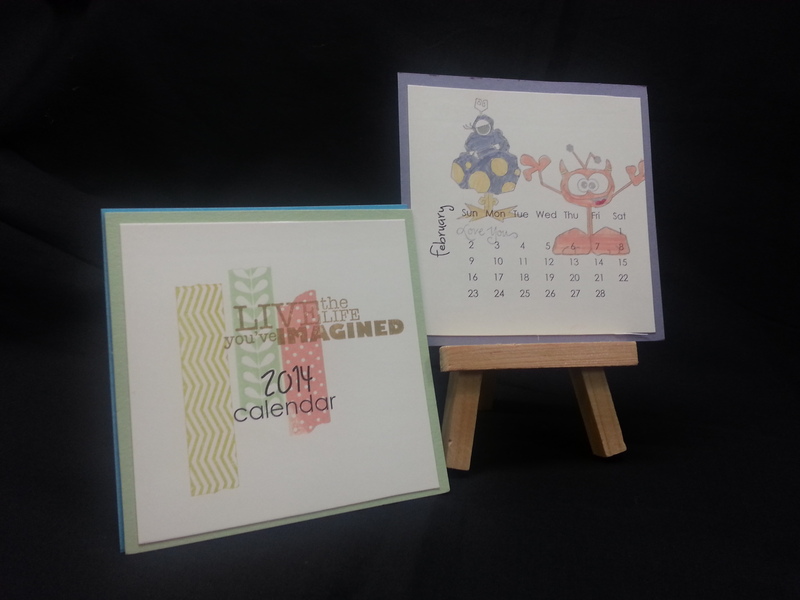 The cardstock just attaches to the back of the junior pad and folds around to the front. I included a pen to make it a gift-set. My participation in craft shows has taught me that cellophane goes a long way in selling items. So, I make it a point to try to package all my gifts. Even though it is nothing big, having the items in cellophane is the icing on the cake when it comes to creating gifts… People seem to really like it. So, for December, I thought it fun to show you some little ‘gifties’ for your Christmas List. And, receiving a thoughtful, hand-created gift is just a wonderful treat. 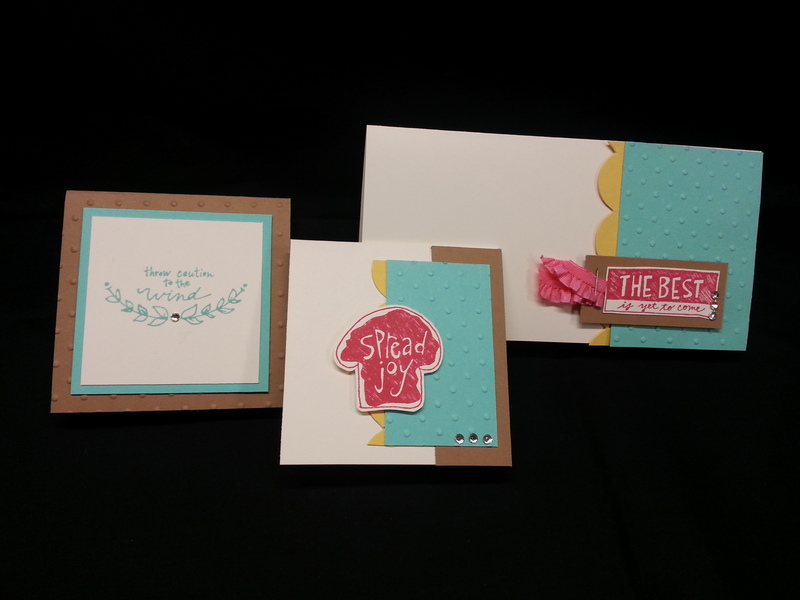 So, I really wanted to call this post Spread the Joy Part 3… (you aren’t sick of this set, are you…. cause I”m not…). But, this will be the LAST in the set installment. I promise. But, I thought it was a glorious set to use to celebrate World Card-Making Day. I hope you have a moment to set aside to Spread Some JOY. Make a card. Send it to someone who least expects it. That is the whole point of World Card-Making Day. The joy. Joy the one has creating it. And, Joy the recipient has getting the card. And, that is kind of the reason I got started in card making, craft show selling, and general craft merriment. Cause I have a WONDERFUL time doing it. And, it makes me feel happy to know someone else will be blessed by it. It’s fun. And, basically uses just scraps of paper. Super fast. Perfect for making on World Card-Making Day. By far, the fastest card in the lot. Super simple. Easy. Rhinestones add such detail. This is another good card to give to a friend who needs a bit of encouragement. Sometimes when making decisions, we need to ‘throw caution to the wind’ and follow our dreams. And, probably the stamp that stuck out to me the moment I laid eyes on the set: The piece of toast. 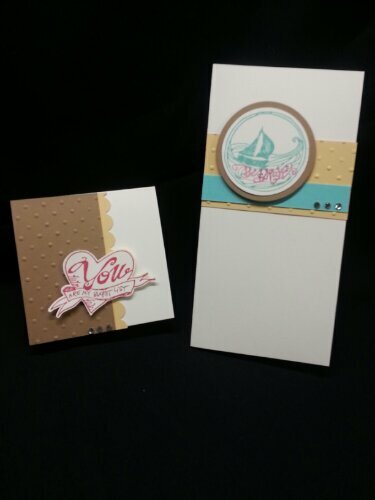 Wouldn’t’ you love getting this set of cards as a special gift on World Card-Making Day?? 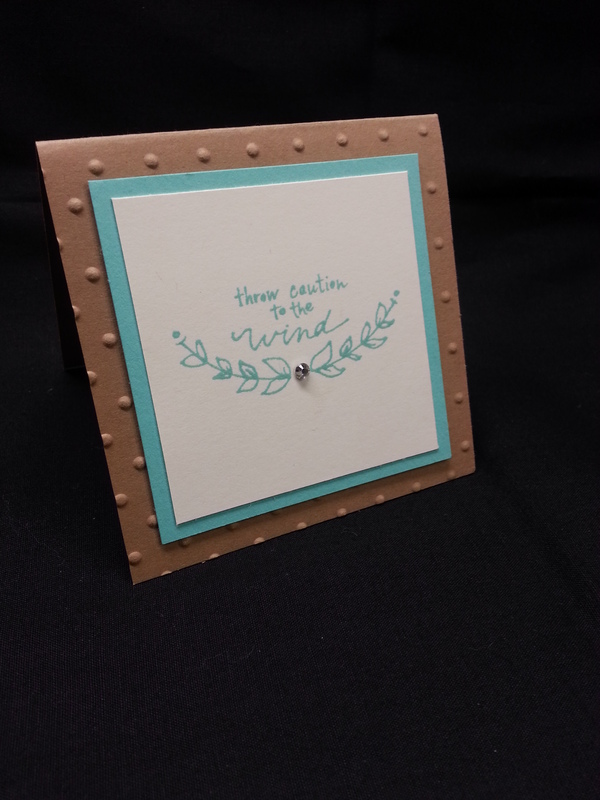 Cause what is making a card without giving one…? To say I love this set would be an understatement. I wanted to share a couple more cards I made with it. I think what I like about this set is that it is different. Different in how it looks AND different sentiments. It works when you need something that you don’t have the right sentiment to say. It’s a very encouraging set. 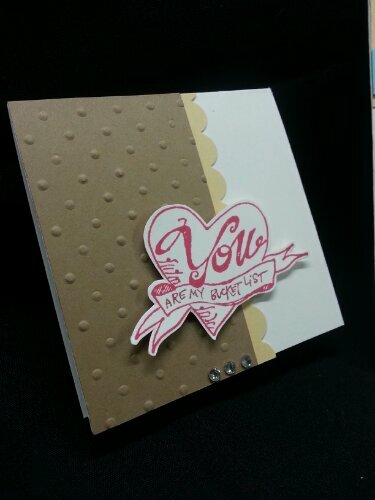 This is a little 3×3 that makes a super sweet card for a friend or significant other. I think it would be good for valentines. 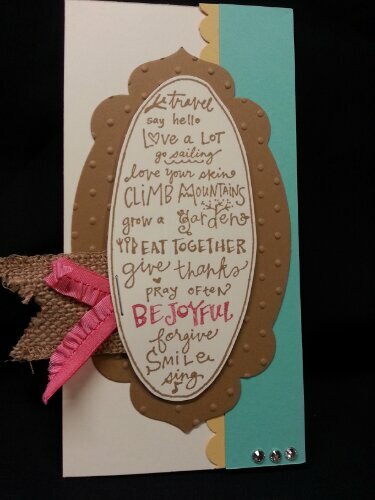 Or a nice card to slip in a lunch bag. Or hide in a wallet to be found when it is least expected. I just love the “Be Brave” card. Cause it is serious in the sense that some people need this message. Dealing with life sometimes requires bravery. But, the image had a sense of whimsy as not to not be super serious…yet give appropriate concern for a situation. Its a perfect card and image combination. Here are the cards together. These are super fast and easy xards to make. You will be sure to make someone’s day! Stay tuned for more ideas with this set! At convention, we were introduced to a new card set designed by Emily Montoya. SU! had a contest that people could submit artwork that could possibly be turned into a stamp set. The first set chosen (I believe there will be more) was Spread the Joy created by Emily. When I saw it, I knew I needed it. I just LOVE the hand-drawn line art look. And I love this particular image with all these words of encouragement. She commented on the SU blog (see Sept. 16) that her husband was the inspiration for the set. And how perfect because the images make just wonderful little notes to pass around to people who just need a little note!! I just love the toast image. I think it’s my favorite.